No, we're not expecting another baby!! We have decided to travel to Romania this summer to volunteer with Purtatorii de Faclie, the Torchbearers International Centre there. We have always known that living outside of Canada for a time is something that could be in our future. The purpose of this trip is to see whether or not working with this organization is something we could actually see ourselves doing. 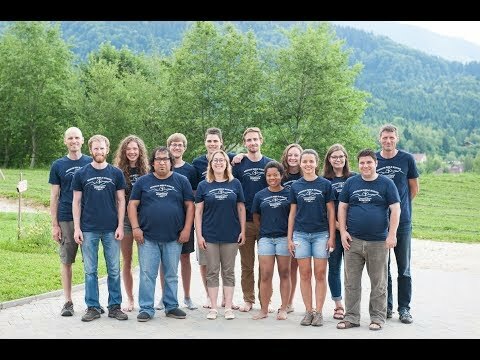 There are many things about the work they do that makes it seem like a good fit for us (wilderness ministry, ski and snowboard camps, outdoor programs, cross-cultural ministry, etc. ), but deciding to move our family to the other side of the world, even for a time, is a pretty huge decision! 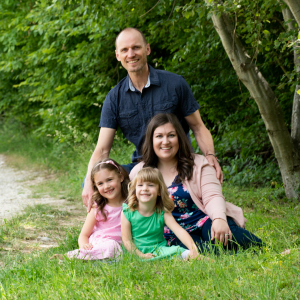 This summer we hope to love and to serve the Romanian people and have a rich and stretching experience as a family, but we also hope to gain some clarity around whether or not this is something God might have planned for our future. While we were living in Austria (10 years ago now! Wow, time flies!) 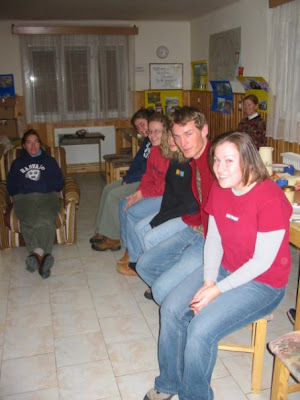 we had the opportunity to take part in a short-term missions trip to Romania. 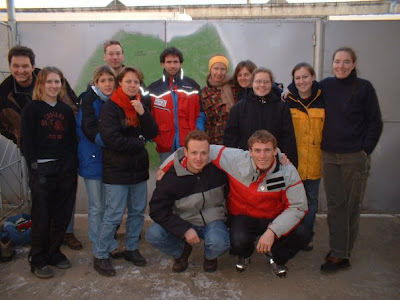 On this trip we volunteered in an orphanage, put on a 'Vacation Bible School' program at an elementary school, and worked with a mission to deliver food and clothing to families living in very remote areas. We also had the opportunity to play and sing songs in a remote Roma village church...they sure out-sang us!! Wow, do we ever look young in this picture! Yikes! We hope you will pray for us and read all about our experiences leading up to and on our trip. And any advice you have about crossing oceans and time zones with an 11-month-old would sure be helpful! We're already anticipating the challenge that will be! Our little Miriam sure keeps up busy these days. She's 8 months old now and has started to move! 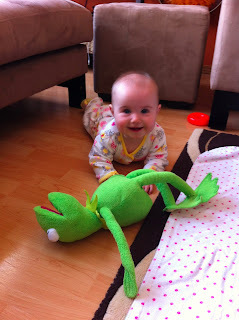 She can't quite crawl yet but she does a good job of creeping around on her belly and rolling all over the place. She pushes furniture out of her way to get where she's going and is constantly trying to wiggle her way under the couch (we can't figure out why!). 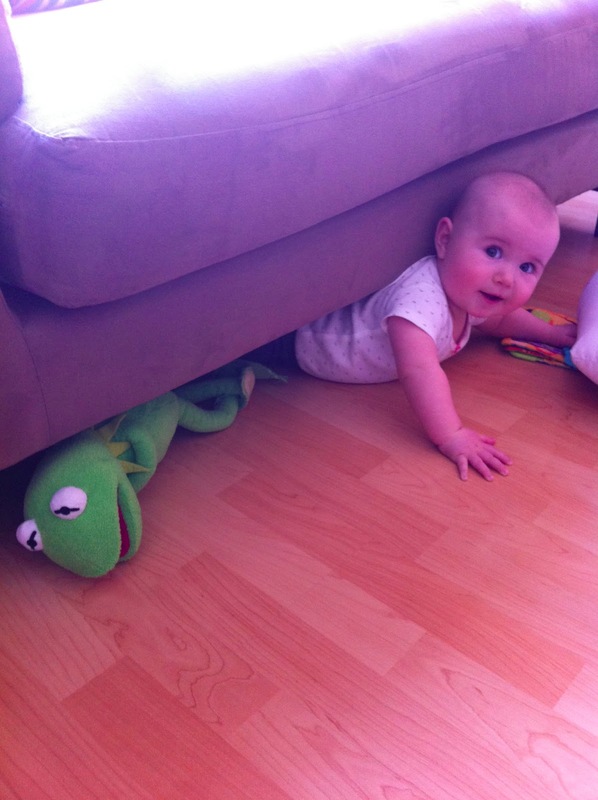 She made her way under the couch one day...at least she took Kermit with her! She is also starting to say da-da-da-da and ba-ba-ba-ba all the time now. We're reminded every day of what a precious gift she is to us. One thing I (Chrissie) appreciate the most about the stage Miriam is in right now is that she loves to play by herself. We often play together during the day but it's nice to be able to work in the kitchen and watch her happily play with a toy all by herself. For so long she didn't like being put down and so I spent a lot of time carrying her around in my arms or wearing her in a baby carrier. She seems to really enjoy her independence and sometimes I think she doesn't realize I'm watching her while she is playing. It's so cute seeing her little big personality develop as she grows. What's really keeping me busy these days is making baby food for Miriam! She didn't really enjoy eating solid food at first but after a few months of persistence she LOVES her pureed fruits and vegetables. Making baby food can be rather time consuming and I'm finding that as her appetite grows, I have started to incorporate new flavours into her diet. We started with carrots, apples, pears, and sweet potatoes for the first few months until she got the hang of eating from a spoon. This week I made blueberry puree, mango puree, and green pea puree (almost had to leave the kitchen for that one! Yuck!). Next week I plan to try strawberries. Any suggestions on what I should try next? We thought you might like to catch a glimpse of some of our adventures while it was just the two of us! A few summers ago we spent 2 weeks aboard 'The Encounter', sailing among the Sporades Islands in Greece. We participated in a discipleship program with The Kingfisher Project. It was a once in a lifetime experience that we hope to repeat one day! We travelled around Greece for several weeks and ended up in Santorini where we went beach-hopping. We visited the mysterious (and breathtaking) Meteora. We also got to see The Eiger in Switzerland, Jerry's beloved mountain. We spent several days in Grindelwald and the surrounding area hiking, exploring, riding gondolas, and sipping hot chocolate (it was cold!!). Those are just a few highlights of our most recent 'big' trip! We also visited dear friends in Germany and Austria and spent a few romantic days in Italy. 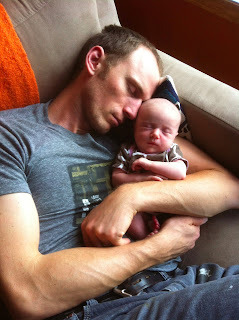 But none of that compares to our latest adventure: becoming parents! 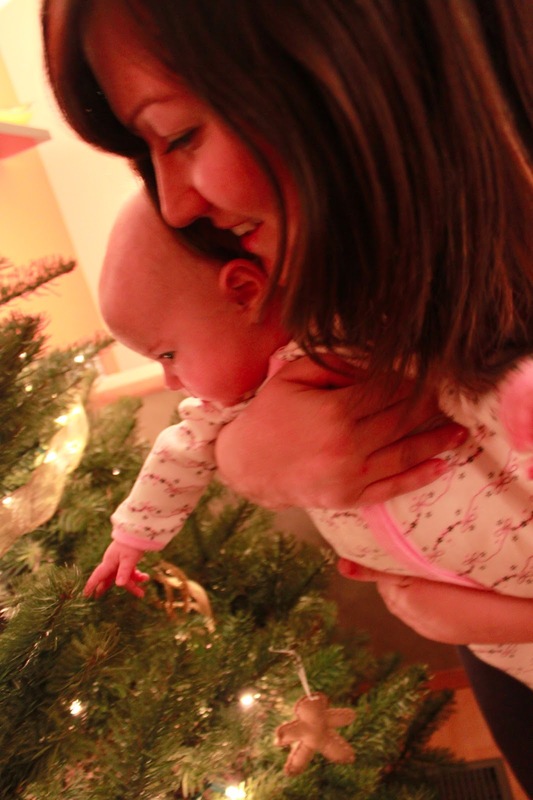 Our little Baby Miriam lights up our lives. We can't even imagine how we ever managed life without her! 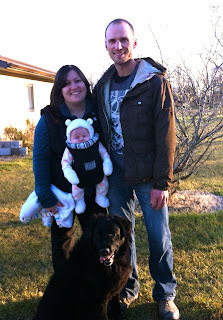 We're excited to be beginning this endeavour of chronicling our adventures as a family in Canada and beyond! We love the outdoors, experiencing new cultures, making music and trying new things. As a married couple we have travelled a lot, and we both travelled extensively before we were married in 2004. Our daughter Miriam was born in July 2012 and in July 2013 we are taking the plunge and travelling abroad for the first time as a family of three! We hope you'll read our blog and keep up with our adventures!